With two young sons, I go through plenty of popsicles during the warm weather months which are plentiful here in Georgia. Last summer, I started making homemade popsicles to supplement the boxes of ice cream sandwiches, push pops, and tubs of vanilla ice cream that were flowing through my freezer doors. 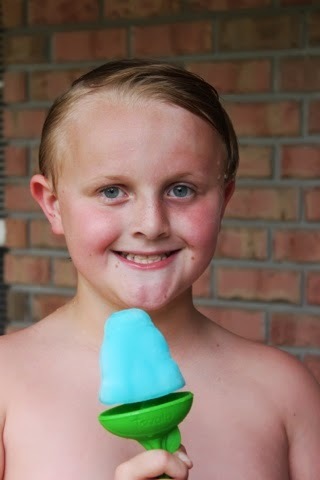 When someone asked this question on Facebook, "Which ice pop molds do you recommend? ", I immediately answered, Tovolo. 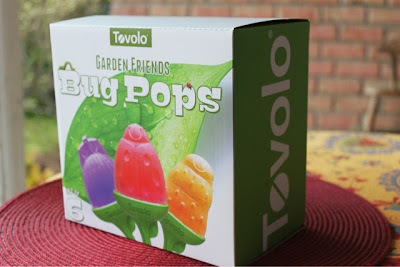 In addition to these cute Bug Pop molds that Tovolo provided me for review, I've gone out and purchased these Groovy Pop Molds and Ice Cream Pop Molds. I already owned these classics, the Rocket Pop molds. There are several reasons that I think these molds are superior to some of the other molds that I've tried in the past. First, these molds are made with thick plastic so both the molds and the "sticks" are sturdy. Second, these molds seem to be larger than others so they hold a larger amount of frozen goodness. 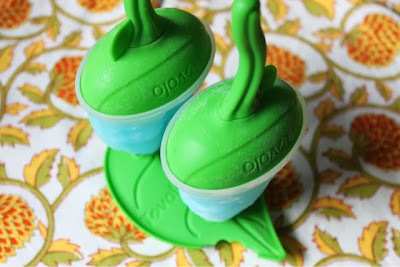 Finally, these molds release the ice pop easily after running under hot water for a minute or so. The Bug Pop ice molds were different from the other Tovolo molds that I have in that instead of having the ice pops together in one tray, they were divided up into two pops per tray. Aren't the trays cute? They're leaves with a bug bite in them. Why did I like having three sets of two pops instead of one tray of six? Having them divided like this made them easier to place in different spaces in my freezer. I tucked a set on two different freezer shelves and even stuck one set in the freezer door. 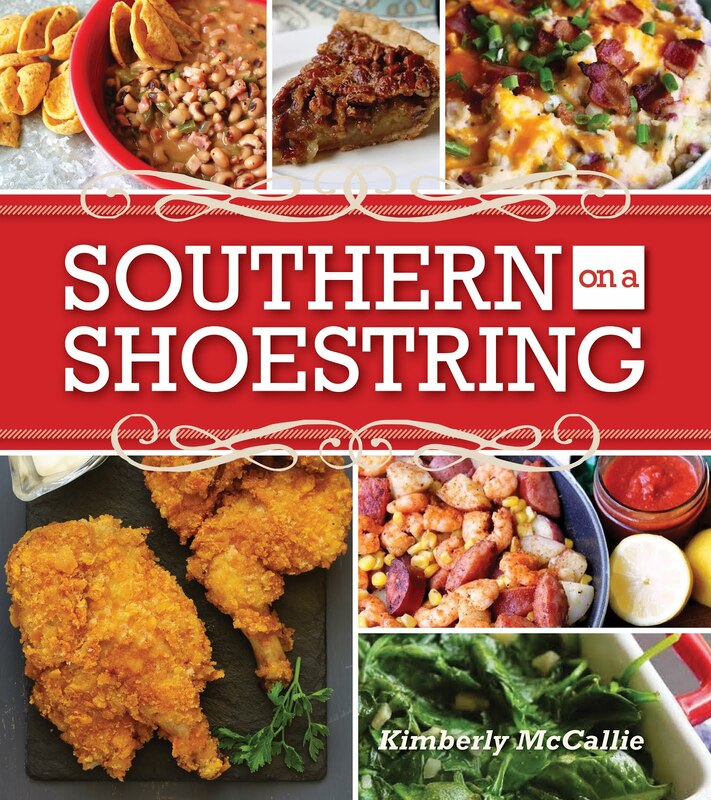 That comes in handy if you have limited freezer space. I use a simple recipe for my ice pops. Mix one small box of Jell-o gelatin with one pack of Kool-aid and one cup of sugar. (I'm a purist in that I use the same flavor of Jell-o and Kool-aid together, but mix it up if you like it like that.) To this mixture, add two cups of boiling water and stir until gelatin is dissolved. After gelatin is dissolved, add three cups of cold water. Stir well and pour into the molds. I recommend using a bowl with a pouring spout to make pouring into molds easier. This recipe makes approximately 12 ice pops. Freeze overnight for best results. If you have a bug lover in your family, you've definitely got to get these molds. 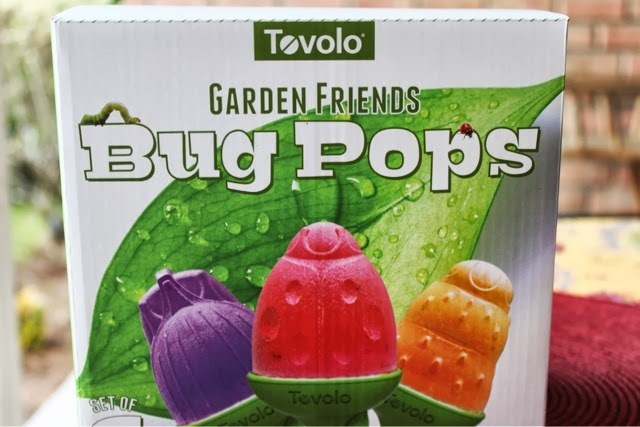 But, even if the Bug Pops aren't your thing, definitely look for the Tovolo brand when purchasing ice molds. Don't worry! Just because they are high quality molds doesn't mean that they're expensive. I've purchased my molds from T.J. Maxx and HomeGoods and paid between $5-$6 a set. That's not too much to invest in a little summer fun! Disclaimer: Tovolo provided me with this product for review; however, the opinion expressed here is my own.